Rooftop HVAC systems are installed on roofs for a number of reasons. They supply heating and cooling to a homes and commercial buildings. In this guide, we explore rooftop HVAC systems and when you might choose one over a ground-based HVAC system. There are 2 basic types of system, split systems and packaged systems. Here’s a look at each type. Split Systems: These have one main component outside and a second main component inside. If heating with a heat pump, the heat pump will be on the roof and an air handler will be located inside. If heating with a furnace, an AC condensing unit will be on the roof and a gas furnace or oil furnace will be located inside the home or building. The air handler or furnace contains a blower motor and fan to distribute heating or cooled air. These components will also contain the indoor AC coil, sometimes referred to as the evaporator coil or the A-coil due to the A-frame shape. The air handler or furnace is connected to the building’s ductwork via a sheet-metal plenum for the purpose of air distribution. Packaged Rooftop HVAC Systems: In a package system, all components are located in a single large case. Packaged systems can be AC-only units, gas/electric units that heat with gas and cool with electric or all-electric units that heat and cool with a heat pump. There are several main reasons to consider a rooftop heating and cooling system. The most common one is space considerations. Commercial buildings often use rooftop HVAC systems because there is little room on the ground. Homeowners with small yards might also consider a rooftop unit. They are common in upscale lakefront and oceanfront communities where homes are large but lot widths are narrow. Secondly, a rooftop unit is often chosen for areas that do not have basements due to high groundwater levels. The roof is a convenient spot to locate the unit so as not to take up space on the ground. Finally, some home and business owners install a rooftop heating and cooling system for security purposes. Outdoor components have long been a theft target for the value of the metal they contain. An HVAC system on the roof is much more difficult to steal than one that is on the ground. If you’re considering a rooftop HVAC system, talk with a qualified contractor about your options. 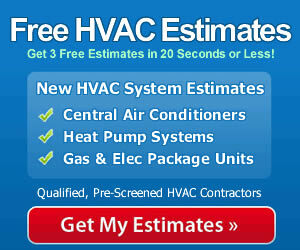 The HVAC professional will help you decide if it is the right choice to meet your needs.